One of the children in our parish has been in the hospital for a benign brain tumor, and has endured five surgeries and one stroke since August 20th. Glory to God, she seems to be on the mend now! 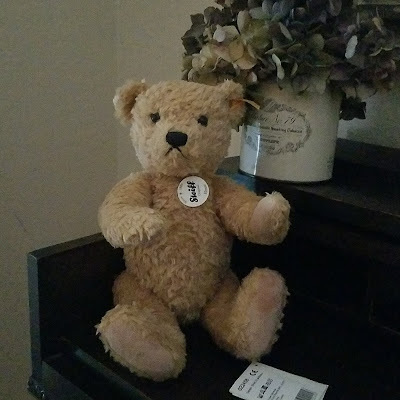 A parishioner gave me $50 to buy a teddy bear for her and I found this adorable one made by Steiff on Amazon. Isn't he the sweetest? I hope that Maleah likes him! Middle School, Here She Comes!